The need for an integrated approach to water resources management has become increasingly evident over the past years. In response to this, EU legislation has striven to develop on a more comprehensive approach culminating in the EU Water Framework Directive (WFD). The Directive establishes a framework for the protection of all water bodies (including inland surface waters, transitional waters, coastal water and groundwater). The key objective is to achieve good water status for all waters by 2015. 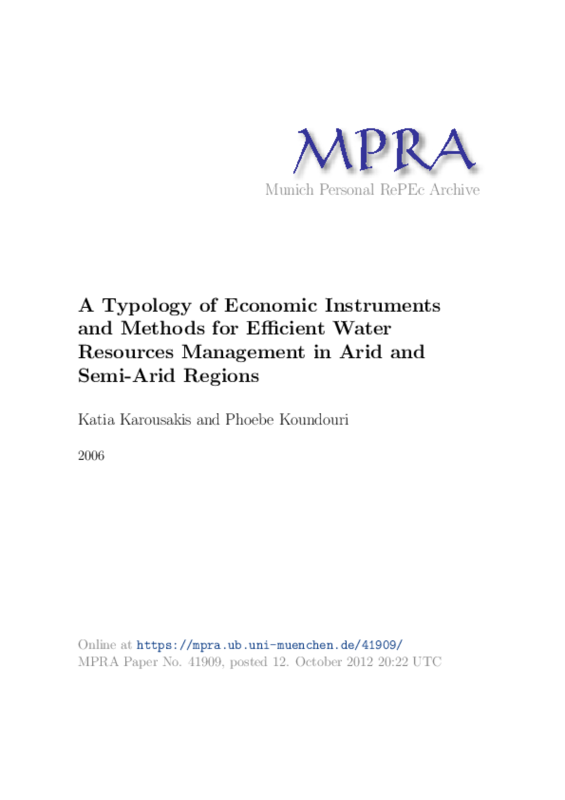 This chapter provides the economic perspective to implementing integrated water resources management and describes the valuation techniques and economic instruments that have been developed and are available to help price water efficiently, and allocate it to it's highest valued user. Copyright 2006 Munich Personal RePEc Archive (MPRA).